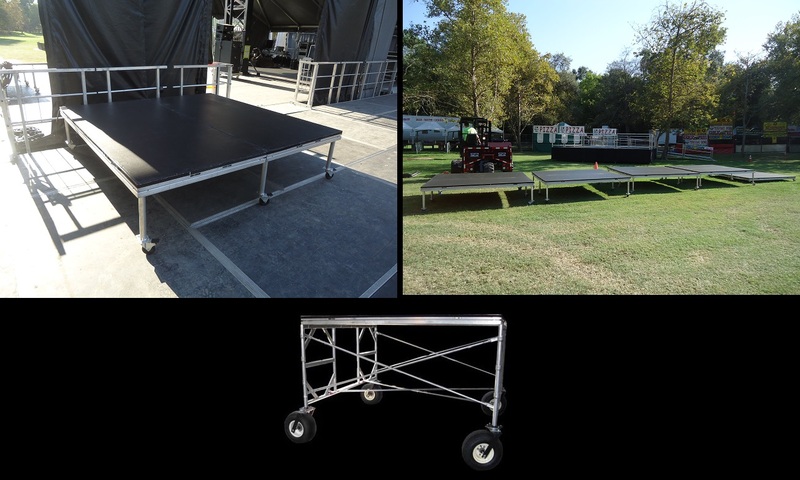 Rolling & Drum Risers for rent from Stage CMDR, Inc. in Sacramento. Just about every drummer that plays in a band will tell you that they prefer to be on some sort of riser to elevate them higher then the band since they are sitting down. This enables the crowd to see the drummer whether they are seated or standing. Drum risers typically are 8×8 and are either 1′ tall, 2′ tall or 3′ tall. 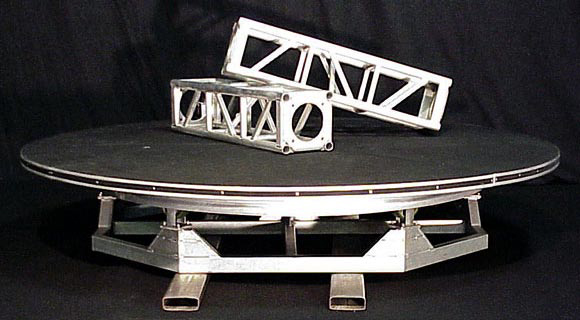 These risers can either be static or be constructed with wheels. During shows that have multiple bands performing throughout the event, having multiple rolling drum risers allow the drummers or drum techs to assemble the drum kit on the riser prior to their start time. Since setting up the drum kit takes the most amount of time, it saves on intermission between bands or performers having the kits initially set up. If the stage is large enough to stage multiple risers, all it takes is a matter of seconds to roll one riser off the stage and roll another one onto the stage. If the stage is not large enough, this can still be achieved with a fork lift with 8′ fork extensions. An 8′ full circle rolling drum riser, 2′ height with drum set and lights secured to the riser for fast and easy dissemble. An 8′ full circle turntable drum riser. Multiple sizes available. 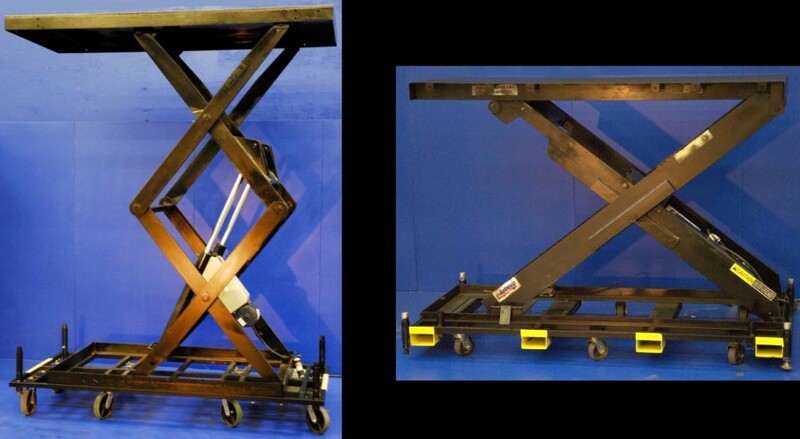 Multiple size scissor lifts available for drum risers.